You can find all kinds of abbreviation lists and dictionaries online. Just like with any dictionary, look up abbreviations that you don't recognize. You'll find the answer, no problem! I'll confess that I am really fond of OMG and LOL and IMO even when I'm not typing under Twitter's character count constraints. 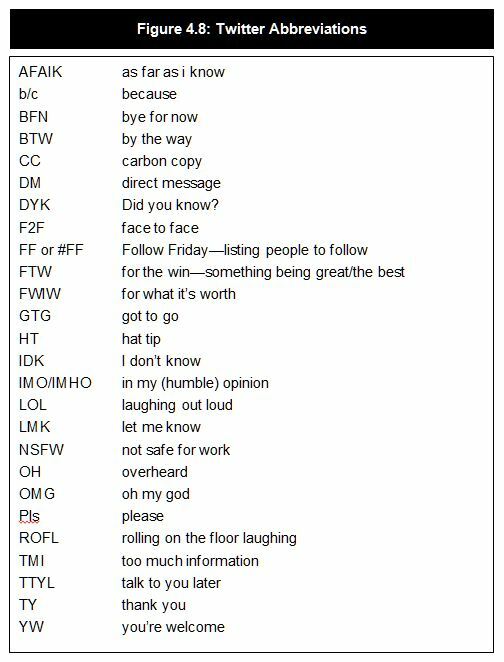 Do you have any favorite abbreviations that have become part of your online vocabulary? If so, share with the #UOConference hashtag! This particular chart is from E-PRO® Blog.